South Carolina’s comedy scene is just what the doctor ordered. From improv shows, to world-class stand-up comedians, laughter flows freely at the Palmetto State’s best comedy spots. 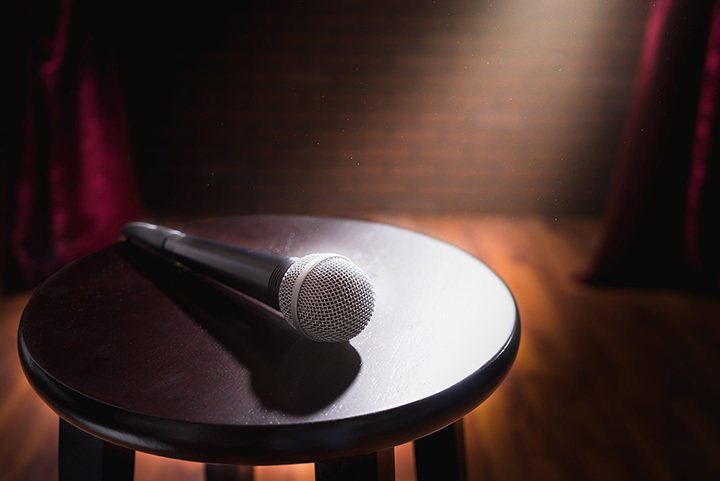 Everyone needs a good laugh sometimes, and when you find yourself in need of humor therapy, pull up a seat at one of these 9 great comedy clubs in South Carolina. Voted “Best Comedy Club in Myrtle Beach,” Carolina Comedy Club offers features some of the best acts from Comedy Central, E!, Showtime, and other major TV networks. But the onstage entertainment is only half the show—make sure you come hungry, the food is incredible! Part of a network of 60 laugh houses nationwide and beyond, you can expect top comedic talent to grace the stage here. Nestled right in the heart of historic downtown Greenville, there’s plenty to see and do before and after the show, including free admission to the upscale Pour Boutique Lounge for Comedy Zone guests. One of Myrtle Beach’s oldest and most familiar attractions, Comedy Cabana attracts plenty of top comedic talent that keep things fresh and funny (even for veteran visitors!). Improv, anyone? Theatre 99 lets everyone join the fun with improv training classes, followed by invitation-only shows to family and friends. But if you’re not quite ready to take the stage yourself, you can head out to one of their many weekly shows. Comedy Magic Cabaret prides itself on “Funny, Not Filthy” family-friendly comedy. Here, it’s more than just one-man performances: With the owners’ backstory consisting of all things magic and Las Vegas, you can expect variety acts like game shows, magic tricks, and of course, good clean standup. Ready to tackle the world of improv for yourself? The folks at Carolina Improv Company can help you do just that! But if you aren’t into studying the art of improv, you can enjoy it from a front row seat in the audience at one of their many shows throughout the year. If you want a little something outside typical stand-up comedy scene, head to Greenville’s premier comedy dinner theatre Cafe And Then Some. These guys have always got something to offend everyone, and plenty of good eats to boot. It’s a live action Whodunnit at Black Fedora—can you solve the crime before time runs out? Eat your fill as your mind races to figure out who’s the criminal mastermind behind the murder. You might just die of laughter before you solve the mystery! Whose line is it, anyway? Alchemy Comedy Theatre can answer that, and everything else you ever wanted to know about improv. Here you can sign up for classes, or enjoy one of their many weekly stand up or sketch comedy shows, purely improvised to keep it fresh. Because let’s be honest, you can only listen to the same ol’ jokes so many times before the giggles turn to groans. View more South Carolina Comedy Clubs.